"We were fortunate to work with Suzanne Perkins. Our property was complicated and she was helpful, honest, informed and worked tirelessly to get it sold. Although she has a wonderful assistant, she always returned our calls herself. She was personally involved in every aspect of the sale. Her professional experience was apparent as we worked our way through the details. The brochure she made and the online video were beautiful. The family who purchased our property were exactly the right buyers. We highly recommend Suzanne to represent homeowners, buyers or sellers. We look forward to working with her again." - Susan & Jeff B. "We have nothing but great things to say about Suzanne. From the first point of contact, she was attentive, organized and thoughtful about our needs. She knew the history of every house we viewed which proved to be invaluable. We purchased a complicated property from her which required an intense and thorough inspection period. Suzanne took charge and headed up every aspect of it. Suzanne has also made herself available to us post-closing for questions and has gone out of her way to help us in many ways. When working with Suzanne, you are getting so much more than just an agent." "Suzanne is the consummate professional. She very successfully listed and sold our property on Picacho Lane in Montecito. Suzanne was actively involved in all aspects of the sale. She was readily available to answer any and all questions. Her marketing (print and internet) were very impressive and generated great interest in the property. Suzanne knows Santa Barbara better than any agent and has sold many of the most expensive properties. Suzanne is not only exceedingly bright and creative, but also has a delightful personality. Suzanne is a dedicated, high achiever. I could not recommend her more highly!" Suzanne moved to Montecito, California, in 1982 and began her real estate career in 1991. After 27 years in the Montecito and Santa Barbara market, she made the move and joined Compass in 2018, a technology-driven real estate company. Fusing the best of a brokerage and startup, it has allowed her to elevate her business and provide her clients with the best service possible. With $154 million in sales in 2017, Suzanne was acknowledged by REAL Trends as the #1 individual agent in Santa Barbara, and the #52 individual agent in the nation for transaction volume. Committed to outstanding results for her clients, Suzanne also brokered 4 of the 5 most expensive transactions in Santa Barbara in 2017. 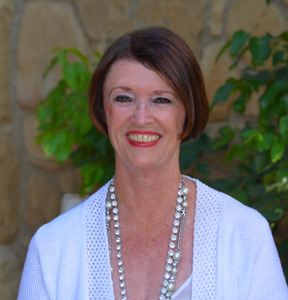 Suzanne has consistently been named the #1 Agent in Montecito, Santa Barbara, and Santa Ynez for several years in a row. Representing some of the globe’s most distinguished clientele, Suzanne’s phenomenal success in the Santa Barbara market reached historical proportions. In January 2007, Suzanne represented the sellers of El Cojo and Jalama Ranches in the largest non-commercial transaction in California history. The combined listing value of the two properties was an astounding $155 million. In 1992, Suzanne became Commissioner of the Santa Barbara County Parks Commission; and is also a past president of the Montecito Trail Foundation. In 2010, she was elected Chairman of the County Parks Commission. These positions have helped enrich her deep knowledge of Santa Barbara real estate and land use issues. In February 2008, Suzanne was appointed by then Governor Schwarzenegger to the 19th Agricultural District Board of Directors. The district comprises all portions of Santa Barbara east of the Gaviota Pass and south of the Santa Ynez mountains. Governor Jerry Brown re-appointed Suzanne to the Board of Directors for another term in November 2012 to present. As a third generation horsewoman from Lexington, Kentucky, horses are an integral part of Suzanne’s life. She and her husband Perry, have bred, trained and shown four generations of Champion Arabian and Half Arabian horses, which have included several National Champions. Suzanne has been a licensed United States Equestrian Federation (formerly AHSA) Judge since 1989 and was a large “R” Judge in the following Divisions: Andalusian and Lusitano, Friesian, and Western. Her extensive knowledge of the equine world makes her highly qualified to offer sage advice regarding the impressive ranches and equestrian properties she represents. Before her real estate career, Suzanne was hired by Pan American World Airways, the world’s leading international airline. This was the glittering age of jet travel and she was quickly promoted to In-Flight Purser; and when the 747 entered service in 1970 she was again promoted, this time as In-Flight Service Director. As a testament to Suzanne’s courage and strength of character, she volunteered for special assignment with the Department of Defense to serve on selected crews to fly monthly R&R flights and evacuation flights in and out of Saigon, Da Nang and Cam Ranh Bay during the Vietnam War. Whether you’re interested in exploring your real estate options or simply want to know more, contact me today to set up an appointment.